Does Miami have someone smart enough to outwit the great Rosewood? After watching Rosewood Season 1 Episode 10, it definitely looks that way. Villa and Rosewood paired up in an attempt to find a crazed, mastermind serial killer. This serial killer has done their homework, making it hard for the dynamic duo to do their job. Good ole trusty coroner, Neal, alerted the team that he had a body that begged for Rosewood's work. Hornstock was smart enough to tell Neal to back off the case. Neal seemed entirely too jittery and excited for Rosewood to examine the dead body he discovered. It was like Neal was seeking Rosewood's approval in a weird obsessive way. I just wanted to be a hero for once, like Rosewood. Permalink: I just wanted to be a hero for once, like Rosewood. 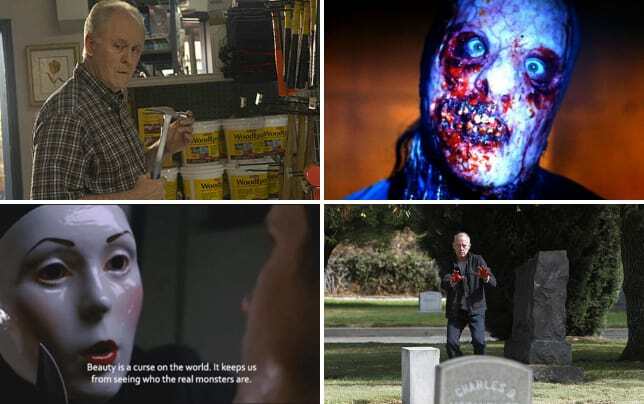 Much like Rosewood, Neal has an obsession with death. But it turned out Neal's obsession was at the top of the disturbing meter. He wanted to be the it man like Rosewood. The man had his own collection of body organs and a perfect sketch of one of the victim's tattoos. Do you know what I see? A creative mind, an intelligent mind. Permalink: Do you know what I see? A creative mind, an intelligent mind. The serial killer was creative. In fact, a little too creative to just be some ordinary person. This person had to have a love for creative arts as well as know their way around the medical field. He had an interesting way of taking his victims organs to turn them into amazing work of arts at the local art gallery. Creepy, right? Oh my God. We got the wrong guy. Permalink: Oh my God. We got the wrong guy. It was no surprise that Roger wasn't the guy Villa and Rosewood were originally looking for. Finding the serial killer wasn't going to be that easy. When it was all said and done, Villa and Rosewood realized they penned the wrong man for the horrendous crimes. My mouth dropped once they figured out their serial killer was Neal the entire time. It makes so much sense though. When someone has too much of a nice guy persona, they're usually the ones we should pay attention to. Neal has studied Rosewood's habits and learned how to weasel his way around town. The only question now is how the heck are they going to capture Neal when he has outsmarted everyone including Rosewood? I have never met anybody like you, ever. Permalink: I have never met anybody like you, ever. 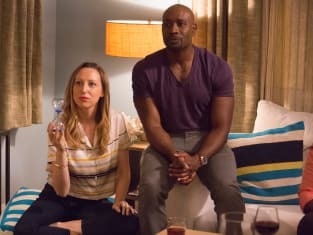 Aside from finding out Neal is a crazed serial killer, it looks like things may be getting serious with Villa and Mike. The two have been dating nonstop since their first encounter, and deep down Rosewood hates it. Mike goes out of his way to woo Villa with romance and gives her his undivided attention. When Rosie notices this, he attempts to shoot down Mike's efforts by belittling him in front of Villa. Jealous much? You dropping by to steal some more of my thunder? Permalink: You dropping by to steal some more of my thunder? Rosewood likes to act as if he isn't romantically interested in Villa. If that were truly the case, he'd be trying to win Kat back instead of sabotaging the budding relationship between Villa and Mike. Rosewood should just focus on repairing his relationship with Kat and allow Villa to experience happiness again. Villa, however, seems afraid to be moving on with Mike. For one, she still hasn't gotten over her husband. Two, Mike canceled his Doctors Without Borders visit to Kenya so he could get to know Villa more on a personal level. That shows that he's ready to invest some time in Villa. When Mike told Villa that, she immediately ran away from him and went to Rosewood's. Over time, Villa and Rosewood have developed a unique friendship. They've suddenly become each others go to person even if they don't realize it. The duo has some underlying feelings for one another that they have yet to explore which is hindering them from moving on to their new relationships. Hopefully Villa and Rosewood will tell each other how they truly feel and be able to remain friends. I actually like seeing Villa date Mike and Rosie date Kat. So what did you think of the episode? Were you shocked to find out that Nate is the crazed serial killer? Do you think they will find his whereabouts? How do you feel about Villa and Mike taking things to the next level? Don't forget you can watch Rosewood online right here at TV Fanatic! Roger was our killer the entire time. Permalink: Roger was our killer the entire time. Rosewood: Have you talked to her? Villa: We started back up our sessions. 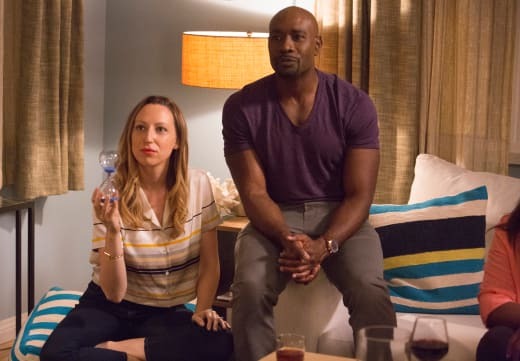 Rosewood: That's it, nothing else? Permalink: That's it, nothing else?